Rules Of The Road According To Me. 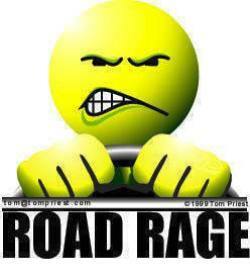 Hi, my name is Hilary and I have road rage. Nothing reckless or dangerous, mind you, just loud and vulgar. I have come to the conclusion that 90% of drivers get in their cars, get on the road, and tune out the world. Pretty much every driver around me has the potential to piss me off. But there are certain things that drive me (pun intended) to the brink of insanity and ruthless verbal rants more than others. If you’re in conditions that require you to use your wipers, turn on your dang lights! It’s a law ya know; if it isn’t, it certainly should be. Lights should also always be on while driving in fog, heavy or not. And why is it that the cars I pass without lights are white, sliver, or gray? Merging should like a zipper, people! Don’t speed up when someone is trying to merge, and don’t get in front of someone then slow down. Use your dang turn signal when turning or merging; that’s what they’re there for! If you’re stopped at a corner next to someone who is turning right, don’t friggin’ creep up and block their view to the left while they’re creeping up to make their turn. If you’re one of those people who slow down while talking on their cell phone, get the heck out of the fast lane. Better yet, pull over all together. A green left turn arrow is green for a very short time. If you’re the first car, don’t wait for 30 seconds; give it 3 to 5 seconds then GO! What driving pet peeves top your list? previous post: Britney Spears Has A Guardian Angel. I absolutely love the images you find for your articles. They are always so fitting.